CURRENTLY UNAVAILABLE. Download our White Roses pattern instead. This is one of our free cross stitch patterns called Pink Roses, a beautiful pattern that would be perfect as a project for wedding, Valentine’s Day celebrations, romantic events or if you want to add to your floral stitching collection. 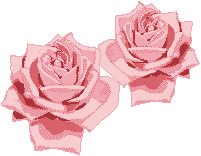 Download Pink Roses Cross Stitch Pattern zipped file (approx. 207kb — downloaded times). The password for this download is “crossstitch4free” without the quotation marks. Please DISABLE your pop-up blocker to enable it. We have other themed cross stitch patterns that you can find in this site using our Related Keywords section below. Are you looking for a wedding themed cross stitch chart? Then simply click on the word “weddings” in the list of keywords and you will see the list of wedding related cross stitch patterns that we make available for free download. Make sure to check out our other themes and selection of free cross stich designs that your can download from CrossStitch4Free.com. All the free cross stich patterns are created using the standard x stitching method and uses the DMC color threads. We appreciate it if you can refer to the Terms of Usage on the main page for instructions on how you can use the designs.